Some people are very happy when they are friends with a Hollywood agent. Others when they marry into the managing partner's family. Me? I'm more than happy to have friends that have a brewery in Milwaukee. And not just any brewery but a brewery that brews the best beer that I've had since I've discovered the Hitachino Nest Beers. 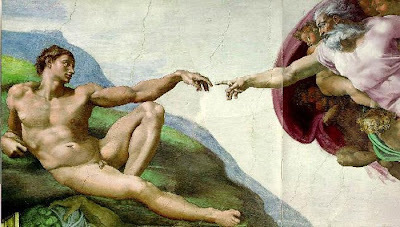 A shout-out to Orlando and Luther and all the guys at Lakefront Brewery! Below, two very happy Holiday Spice drinkers, USC Rad Grad Student and Maestro. Maestro, until very recently, was in the doghouse but now he is in the penthouse. How did he do it? you wonder. Well, he brought back from Paris for me for my bday a Miles Davis CD that you can't find in the States and a bottle of creme de fraise a la fraise des bois. See how easy it is to please me Dear Reader? Below, another very happy Holiday Spice drinker. 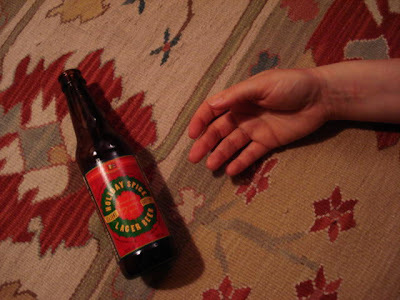 Is reaching for a bottle of Holiday Spice Lager like reaching out to God? Thanks to Orlando for making me a very popular hostess this holiday season! The holidays were thoroughly enjoyed this year... and so was the beer! Thanks again for intiviting us to your NYE party! My husband (Ducati Dude) tried the beer you mentioned in your blog & was impressed by all the spice notes. Was that a picture of me after enjoying the holiday beer? That beer was the best, and I spent seven years in Wisconsin and 10 days in Germany sampling beer. Could it be the high alcohol content? The great party made for a special new years. Yeah for yummy beer. I love the extra kick of the spices and the high alcohol content. yummy! delicious beer and treats! The beer was delish. And of course my face says it all...I drank too much. 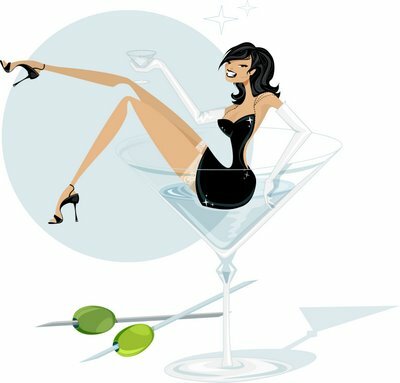 The party was fabulous, thanks for hosting! I thoroughly enjoyed the Holiday Spice Lager. Thanks for the link to the brewery. I checked out their web-page and was happy to see that they offer a variety of delicious beer. What do we have to do to get a hold of some of the Lakefront Organic Extra Special Bitter??? They did such a great job with the Holiday Spice, I am eager to try their ESB- I LOVE bitter beer!!! 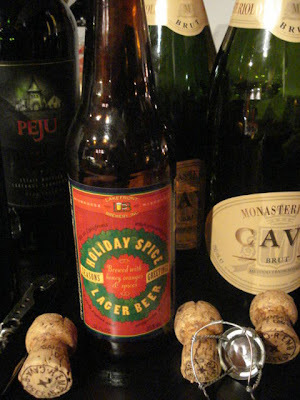 I thoroughly enjoyed the Holiday Spice Lager. Thanks for the link to the brewery. I checked out their web-page and was happy to see that they offer a variety of delicious beer. What do we have to do to get a hold of some of the Lakefront Organic Extra Special Bitter??? They did such a great job with the Holiday Spice, I am eager to try their ESB-I LOVE bitter beer!! !